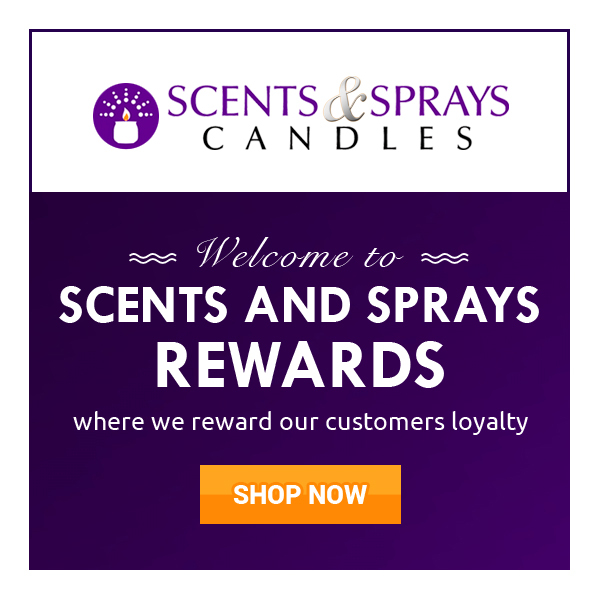 Welcome to Scents And Sprays new rewards program where our fabulous and loyal customers get perks for just being our customers. All customers registered with an online account are automatically enrolled in the Scents And Sprays Rewards program. To see your points just log into your Scents And Sprays online account and click the Scents And Sprays Rewards tab on the leftside of our page. Don’t have an account? Join the rewards plan by creating an account today. I WANT TO REDEEM MY SCENTS AND SPRAYS REWARD POINTS. WHAT DO I DO? When you are ready to redeem points log into online account and the Scents And Sprays link at the Left Side of any page to view your account balance. If you are eligible to redeem a reward a button will appear on Rewards tab. Simply click redeem and you will be provided with a unique coupon code to be entered at discount. *Note Scents And Sprays Reward Points are distributed to customers upon order shipment and completion. 1 Scents And Sprays Program launch date is Jan. 26 2016. Any online purchases made on or after stated date are eligible for the Scents And Sprays Reward points. Please note that we cannot combine accounts or award points for returned or cancelled purchases. Scents And Sprays reserves the right to limit the number of rewards.